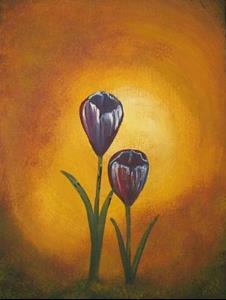 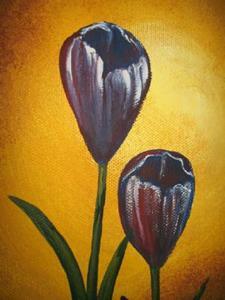 'Crocus' is painted in acrylics on a 9"x12" stretched canvas. 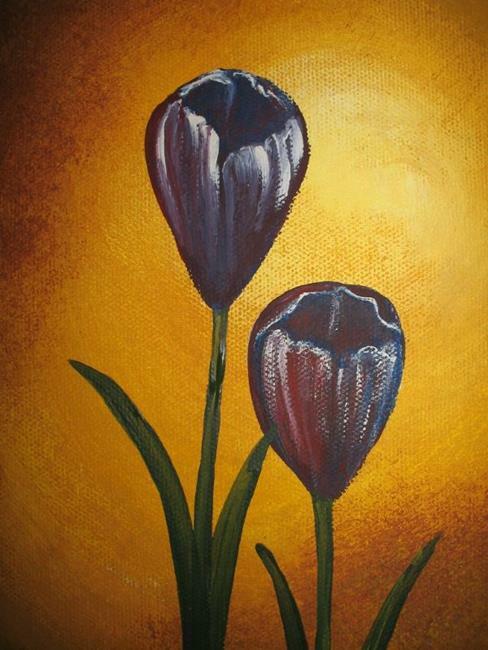 Painting has been glazed with a high gloss medium for permanent protection and to enhance the vibrancy of the colors in the finished painting. 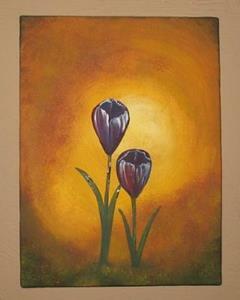 Photos taken before glazing to eliminate reflective glare from camera flash.